In order to ensure your home is healthy, you must first ensure it is dry. Preventing moisture in your home will not only protect your furnishings and property, but also your family’s wellbeing. Mitsubishi Electric Dehumidifiers are designed to be multifunctional home dryers. As well as targeting and extracting moisture from your home, additional features such as laundry drying, mildew prevention, and air purification ensure a healthier home for your family. In a report commissioned by the New Zealand Business Council for Sustainable Development (NZBCSD), it was found that nearly half our homes are mouldy. Mould and mildew can lead respiratory problems, skin rashes and even depression. Moisture build-up is a real problem for New Zealand’s heavily insulated modern homes. A family can generate up to 15 litres of moisture per day through breathing, cooking, bathing, heating and drying clothes. A healthy home needs to breathe to remove daily moisture build-up. Inadequate ventilation can lead to mildew, mould and excessive dampness – compromising the health of your family and the structural integrity of your home. Our Oasis Series of dehumidifiers are advanced home dryers, helping your home to “breathe” properly by effectively controlling moisture, dampness and mildew. 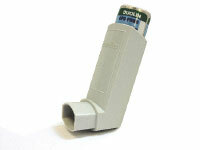 And, with antibacterial air-purifying filters, they enhance the quality of the air produced. Statistics have shown that around 70-80% of asthma cases in New Zealand are associated with allergies, many of which are linked to a high moisture content in our homes. Moulds, fungi and dust mites, key triggers – thrive in damp conditions. Dehumidifiers combat mildew, mould and dampness in walls, furnishings and carpets – removing allergens from the air as it is passed through our antibacterial filters. Our Oasis Series of dehumidifiers are amongst the most powerful available. Our range can remove up to 22L of moisture from your home per day (measured at 30°C with 80% relative humidity). And, with the ability to perform down to 1°C you can be assured it will perform year-round. Permanent drainage is also available for long term application. The moisture our homes absorb manifests itself as dampness and condensation. 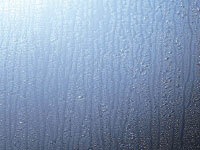 Dampness can damage furniture, appliances and furnishings as well as structures like window sills. This is why all Mitsubishi Electric Oasis dehumidifiers focus on whole home drying. Multi directional airflow ensures that moisture can be drawn evenly from all areas when needed. It also means that damp items can be targeted i.e. carpets, bedding, mattresses or wardrobes, even drying your laundry can now be targeted specifically with our directional swing louvre. All Oasis Models have a feature called "Mildew Guard" that will further decrease the presence of Mildew and Mould in your house by lowering the humidity in the room down to a very low 40% for 2 hours a day. In addition to addressing the need to reduce the moisture content in your home to prevent condensation, new and improved features such as Laundry Drying, Mildew Guard and Directional Airflow make your Mitsubishi Electric Oasis Dehumidifier the only truly multi-purpose drying tool available.